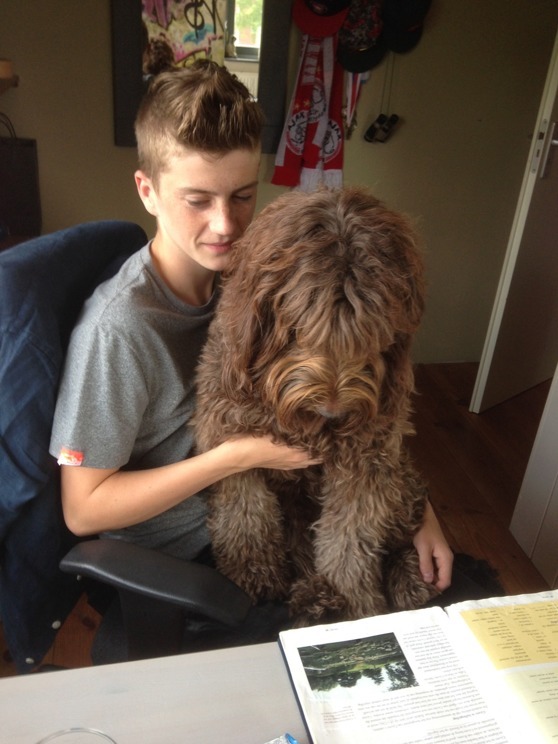 Tomorrow starts the exam week for Bas and Margot, so there is a lot of studying going on. Moët provides a nice little break for the hard working kids when she comes and asks for attention. Who can say no to a cuddle with such a sweet heart as Moët! Maybe she can even help with the learning - she looks just as focussed on the Greek studies as Bas!